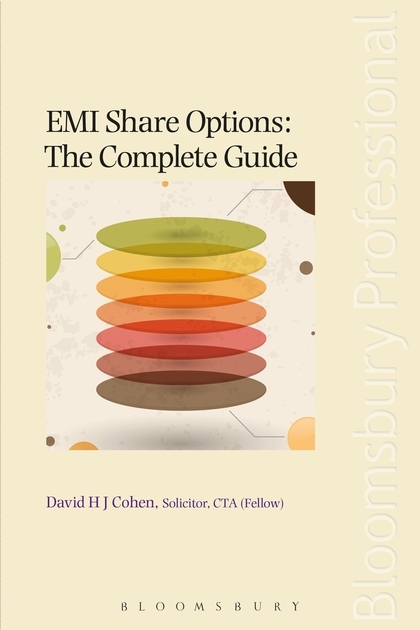 EMI Share Options: The Complete Guide written by David H J Cohen an acknowledged expert in this field. EMI (Enterprise Management Incentives) is a highly flexible and tax efficient means for small and medium sized companies to incentivise their staff. The exercise of an undiscounted qualifying EMI option will generally not be subject to income tax or NICs and any gain on sale of the shares will be subject only to CGT. In the last 12 months, the Government has given two huge boosts to EMI. First, the individual limit has more than doubled, from £120,000 to £250,000. Secondly, EMI participants have been given special access to entrepreneurs' relief, which means a CGT rate of just 10 per cent on EMI share sales from 6 April, 2013. Both these changes, particularly the latter, are certain to boost EMI's popularity and to create increased work in this area for lawyers, accountants and tax practitioners. EMI Share Options: The Complete Guide is highly practical with extensive use of questions and answers, examples, decision trees and tables to illustrate and illuminate the key concepts. 1. Introduction – explaining the background to EMI and putting it in the context of UK employee share incentives generally. 2. How a company qualifies for EMI and the overall limit. 3. How an individual qualifies for EMI and the individual participation limits. 4. How an option qualifies as an EMI option. 5. Tax treatment of EMI options (other than capital gains tax on share sale). 7. Capital gains tax on sale of EMI shares. 8. Corporation tax relief for the employer. 9. Company reorganisations –impact on EMI options of a takeover. 11. Company law and employment law aspects.